What good is an adorable mascot if you're not going to make figurines out of it? 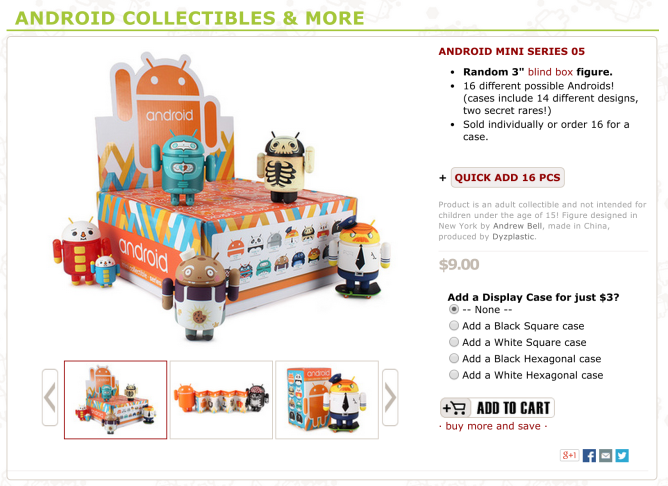 Designer Andrew Bell has created numerous adaptations of Android's bugdroid (produced by Dyzplastic), and now his latest series is available from Dead Zebra, Inc.
Android Mini Series 05 includes 16 different possible Androids. A single order costs $9 and comes with one provided at random. If you want to get the full set without the risk of ordering duplicates, you can place an order for $140. The full set comes with 14 different designs and two secret rare collectibles. Units on display here include an angry cop (someone please put an Android Police logo on this guy), some sort of skeleton, a weird-looking chef, a sad panda, and an Android that looks like an Android. These things tend to sell out quickly, so try to claim one as soon as you can. 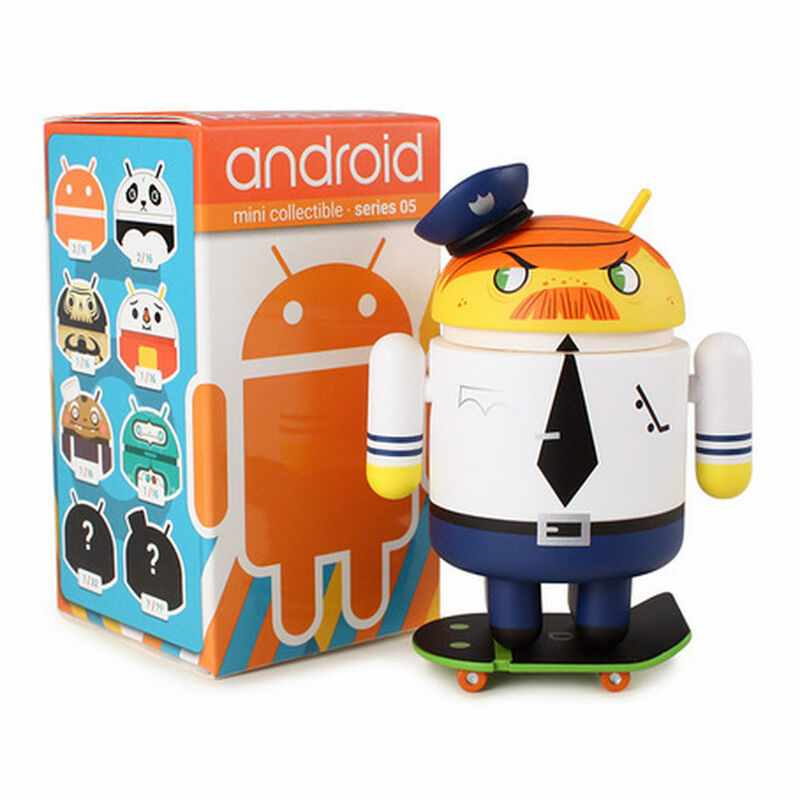 Android Mini Series 05 from Dead Zebra, Inc.